Walter names new managing director U.S.
Dan Shelton joins Walter from Sandvik Hyperion. Walter has announced the appointment of Dan Shelton as managing director U.S. The announcement was made by Muff Tanriverdi, president World West Region which includes the U.S. In his position, Shelton will be responsible for leading and managing the sales performance of Walter U.S., including responsibility for financial planning, target setting, negotiating group agreements and management of stakeholder relations that ensure achievement of the overall company strategy. He will report directly to Tanriverdi. Previously, Shelton was sales director for Sandvik Hyperion and prior to that had worked for over 10 years within Sandvik Machining Solutions. 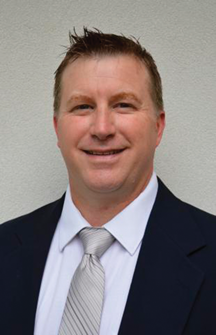 “Dan brings extensive experience in sales, metalworking and leadership to this position. He will be a valuable asset to Walter, working closely with our sales and marketing team to demonstrate the value of Walter Kompetenz in the marketplace,” Tanriverdi said.